Our head immobiliser fixes a patient’s head in place to prevent further injury after suffering trauma. 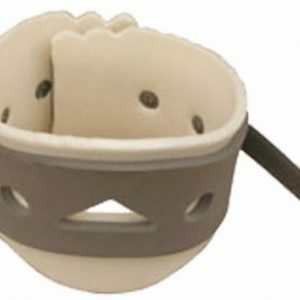 This head immobiliser is made of high-density, plastic material and contains large ear holes for monitoring the patient’s ear canal. In addition, features include multiple adjustable straps to accommodate different patient sizes. 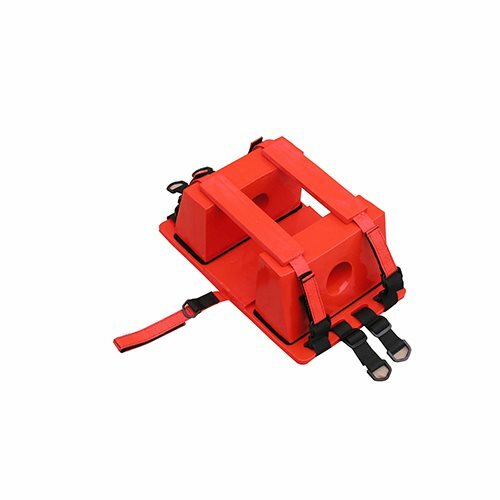 Furthermore, this product is compatible with our scoop stretcher and also our spinal board. HSE guidance clearly states employers have a legal duty of care towards their employees. This includes arranging equipment to ensure their employees receive immediate attention if an injury occurs at work. 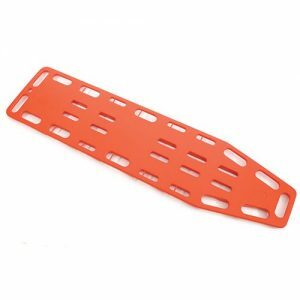 Therefore if your assessment of needs suggests your work place is a risk to causing head, neck and spinal injuries, it would be wise to consider supplying a stretcher and head immobiliser for such events. 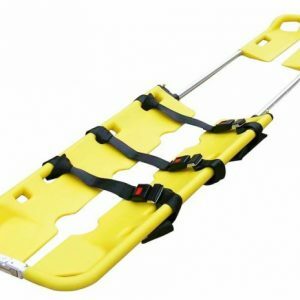 This folding Scoop Stretcher is firm, lightweight and easy to clean and operate.